I admit I'm a shopaholic, there's no denying that fact... so today I need to share I'm absolutely head-over-heels with some new pieces I added to my wardrobe. I mean, when you find jeans you just LOVE and tops that are the perfect mixture of cute and cozy, that's when everyone you know needs to hear about it, am I right? If you agree... get ready to fall in love with Crown & Ivy as well! Here's 4 reasons you should add this amazing brand and their cute clothes to your wardrobe today! 1. Sisterhood of The Traveling Pants style jeans - That's right, their jeans are unbelievably comfortable and have just enough stretch that my new mama bod looks great in them still. 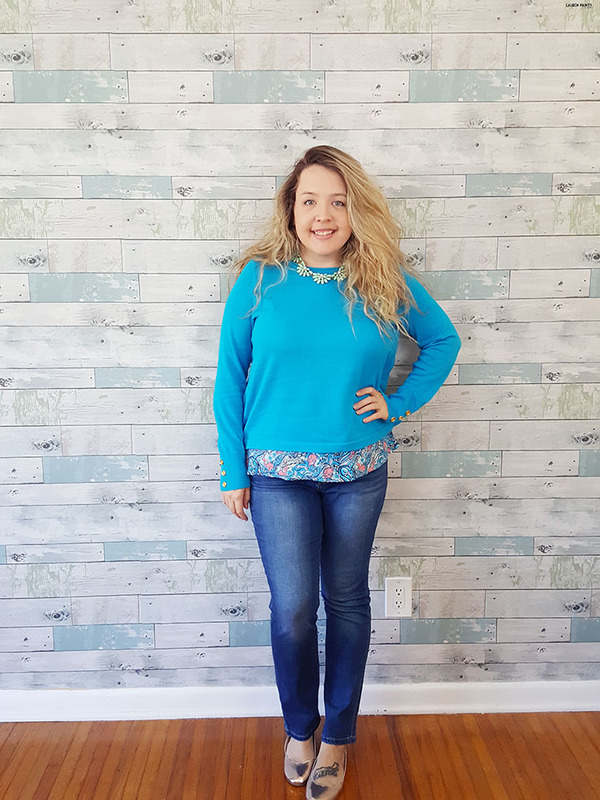 They offer just enough structure that I don't feel like I'm rocking jeggings but they are comfortable enough that I don't even notice I'm wearing pants, the perfect combination for a cozy winter day - in my opinion! 2. 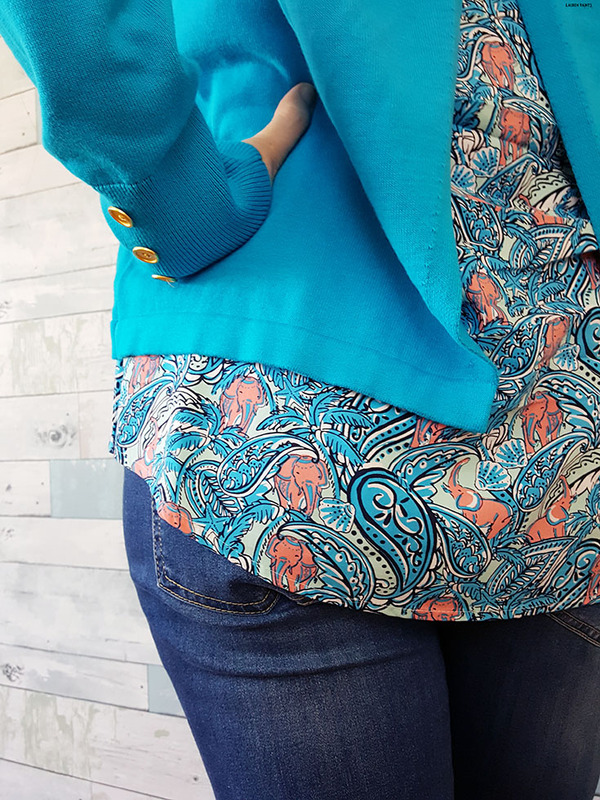 Patterns and Design - From open flare backs with fun dancing elephants, like my new top, to playful reindeer on a sweater, Crown & Ivy has a little bit of everything and it's all so cute. I walked around the Crown & Ivy section of Belk and went on a bit of a shopping spree this past week. After having a baby I need some new winter items and fell in love with everything C&I had out on the shelves! 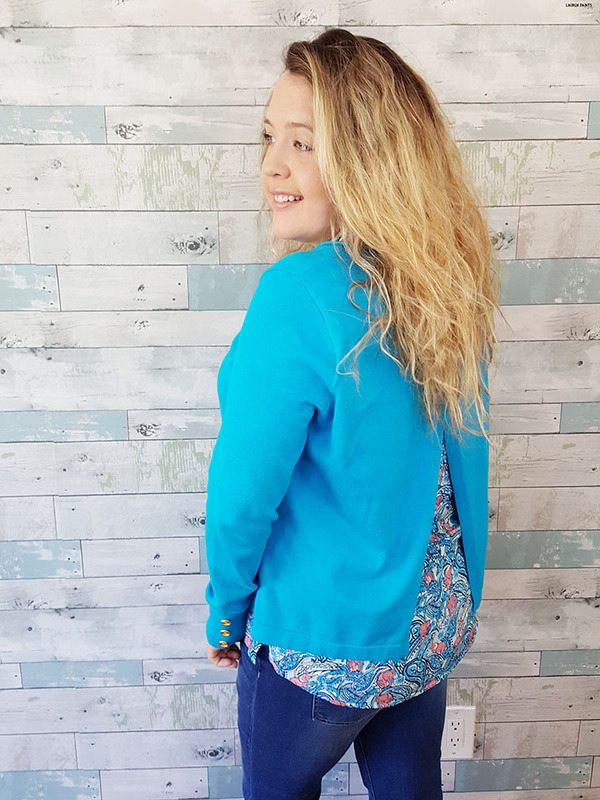 Whether you want to add a cute new vest or a funky new scarf, Crown & Ivy likely has the perfect new quirky addition you are looking for and that's why I love this brand so much! 3. Sold at Belk - When I go shopping, I like to go where I'm treated well and the service is attentive and that's exactly what happens every time I step into a Belk. I love that I was able to find the items I needed and the lady that helped check me out was super helpful and friendly and even made sure to apply hand sanitizer before handing me my receipt, she said she was doing it "just in case" but wanted to make sure"to keep my baby healthy" by not exposing her to any extra germs. It may not seem like a major detail, but customer service like that matters BIG TIME to me. I like that at Belk I feel like the employees actually care about the customers, it says a lot about the company! 4. 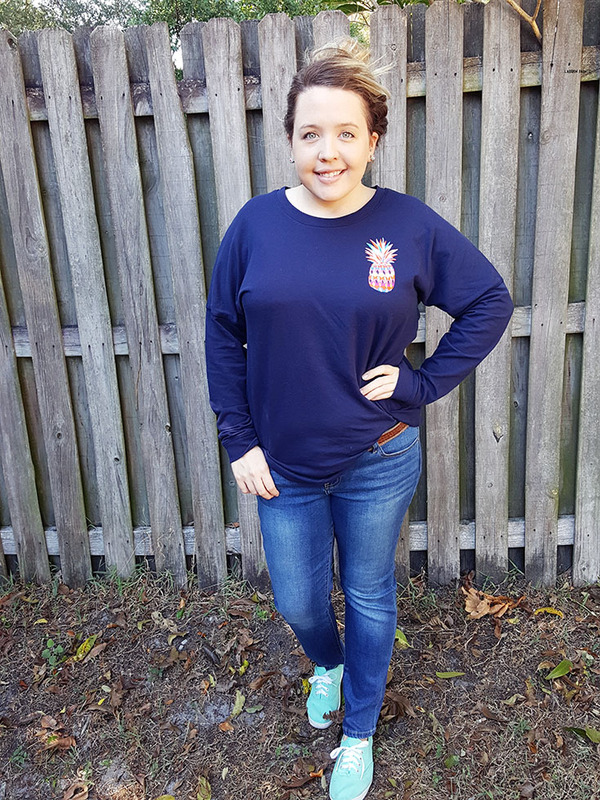 Dressy or Casual - Crown & Ivy has you covered! This brand offers a little bit of everything, as I mentioned. 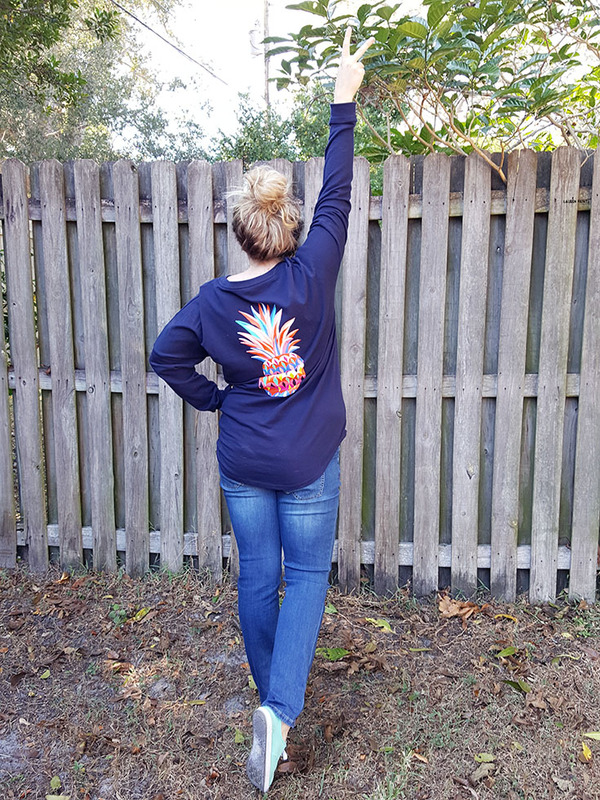 I loved being able to grab something a bit more sophisticated and sassy like the open back sweater and then I was able to grab a fun and funky, cozy long sleeve tee with a giant pineapple on the back! It's this playful nature to the Crown & Ivy line that keeps drawing me in, yet I'm still able to dress like an adult. With all of that said, I think it's easy to see why I'm so in love with the Crown & Ivy line at Belk. Interested in seeing all the other adorableness in the winter 2016 collection? Click here and tell me your favorite item from the line, I'd love to hear all about it... or take a second and stop in to your local Belk sometime soon!